American race car driver who was the 2006 NASCAR Midwest Tour Champion. 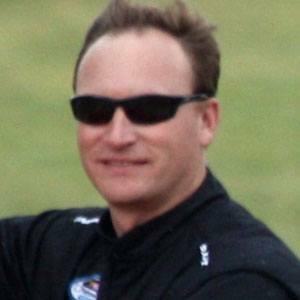 He began racing in NASCAR-sanctioned races in 2000 at the La Crosse Fairgrounds Speedway. He was the 2006 Toyota All-Star Showdown Elite Division Winner. His father Ron was his first racing coach. He competed in the 2013 DuPont Pioneer 250, which was won by Trevor Bayne.